Back row: Ms. Nathania Mc Donnell (Co-Ordinator) Orrin Blake, Liam Loughery, Seamus Shiels, James Mc Cahill, Kieran Sheridan, Kevin Egan, Mr. Andrew Kelly (Principal). Front row: Rachel Mc Collum, Lauren Sheridan, Nora Doherty, Ciara Mc Hugh, Grainne Campbell, Rebecca Barrett. 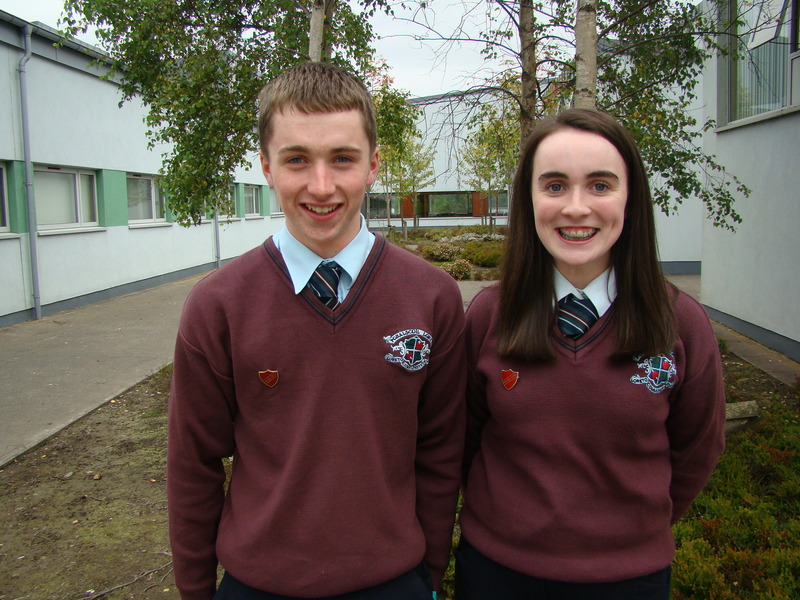 Liam Loughrey (Head Boy) and Nora Doherty (Head Girl). Congratulations to the Prefects and Head Boy and Head Girl for 2014/2015. 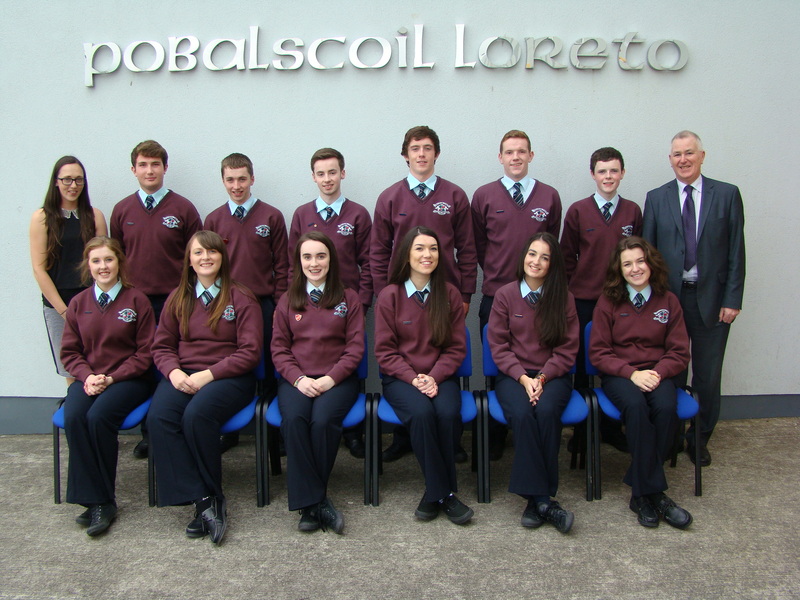 « Loreto students achieve record number of As in Leaving Cert results!